I hear the word ‘vibrant’ and automatically find myself thinking about Tokyo. This is how the association of ideas work. For some people, words signify colors, while others link fragrances with certain letter combinations. I am a wanderer, and thereby, connect words with places. 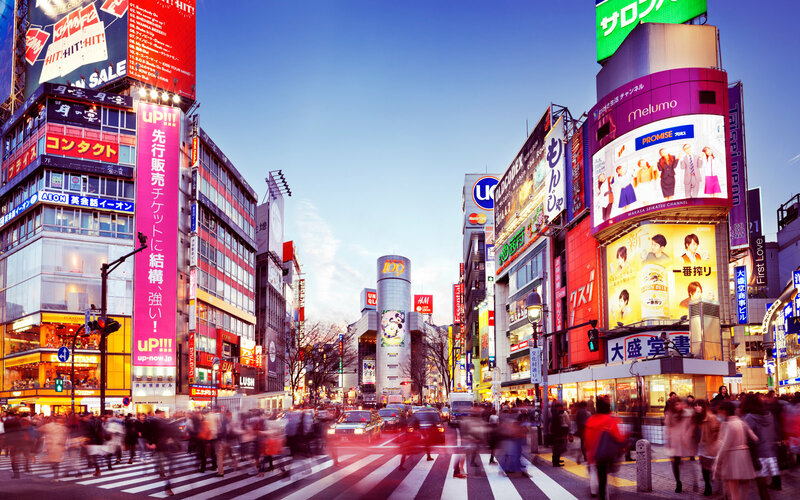 Tokyo is my go-to travel destination for days when I’m feeling bored of the grey workplace walls, the bland mashed potatoes, and the monotonous entertainment channels on the evening television. That’s when I crave for something new, something unusual, something neon, something tangy, something weird, something extravagant and something refreshing. All offered in one place: Tokyo. So, come with me on this journey through the high-tech and lively parts of Tokyo, which will give you a one-of-a-kind experience for sure. Some have called it a wonderland, others, a crazy robot restaurant. The Kawaii Monster café is both and so much more. It blurs the line between ‘cute’ (Kawaii) and ‘scary’ (Monster), and that’s what generates the uncanny effect amongst the visitors. Trust me. I’ve been there. There are 3D figurines, life-sized cake models, rainbow-colored dishes, oddly perched decorations, young girls dressed in weird fantastical costumes, and of course the robotic animal ‘monsters’ with red eyes. Too much to take in with just one look. So, make sure you have enough time to marvel at each and every spot of this crazy restaurant. It aptly depicts the rising teenage trends, the quirky fashionable styles and the subculture mixture of the famed Harajuku district of Tokyo. If you’re not into the youngster ‘kawaii’ stuff, then the restaurant hosts these awesome burlesque shows for adults as well. Hard to miss. They even invite a lucky guest to come onstage and dance with them. Book your tickets and call for reservation at your earliest using your Spectrum phone. The seats are difficult to come by sometimes, after all, the show’s the bomb! Are you a fan of those sci-fi, space travel and ‘Ghost in the Shell’ type films? Then, you’d love spending a night at Tokyo’s distinctive capsule hotels. ‘Capsule’ here connotes two things: minimalistic futurism and affordable accommodation. Ultra-modern and highly efficient. Capturing the glory of two in one. These hotels are not only cheap, but they provide you with the perfect atmosphere for privacy that you’d ever need. There are proper laundry services, and some even have a hot bath system for you to relax in. Again, there are plenty of options to go for. You can choose to stay in those fancy and classy capsule hotels like ‘Prime Pod Ginza’, which offer free Wi-Fi, charging docks and flat screens in every pod. Or, you can go to the bare bones yet super-voguish ‘Nine Hours’ in Kyoto, which is a traveler’s haven. In the Akihabara district of Tokyo, there is a line of cafes which is extremely peculiar in nature, yet it is a vital part of the Otaku culture. I’m referring to the famous ‘maid’ cafes. Yes, you read that right. These unique cafes hire young girls as waitresses and then inculcate them with the classic ‘maid’ principles. Guests are welcomed into the restaurants by these courteous maids, shown a table and then served food in a fun way. The maids at the aptly named ‘Maidreamin’ café decorate the dishes in a cute way, entertain visitors in an adorable fashion and add a refreshing vibe to the whole place’s ambiance. Then, there are other maid cafes like the ‘Cure Maid Café’ which is less ‘kawaii cute’ and more ‘sophistication of the Victorian times’. Visit whichever appeals to your weird appetite the best. I know how hard it is for you to leave your pet behind in someone else’s care as you travel all over the world. But don’t let that sinking sensation bring you down on your trip to Tokyo. Why? Because there are actual animal cafés in this extraordinary destination, where you can sit around with your furry friends and have a hearty meal at the same time. Missing your buddy boy? Go to Harajuku’s Mame-Shiba Café, pet the Japanese-special Shiba Inu dogs, and have a pleasant drink on the traditional tatami floors. If you’re a cat person, then take a round of the Temari no Oshiro Cat Café in the Kichijoji area and munch on the cat-shaped cookies. If owls fascinate you, then don’t forget to frequent the Ikefukurou Café in Ikebukuro, which is a little small but offers a magnificent view of the night-prowlers in a close proximity. Have a thing for slots and pinball, do you? Then, believe me, when I say this, you’ll get addicted to the ‘pachinko’ fever once you step into Tokyo’s parlor zones. This game is a form of gambling but played on large, colorful arcade type machine consoles with a small steel ball. The ball is shot upward vertically by a lever at the beginning and is then made to touch the ‘start’ drum. The goal is to match three symbols on the drum. Once that’s done, thousands of balls come rolling down, which are then collected and further played. And it goes on and on. Pachinko is a vital part of the Japanese culture and economy. But if you’re not up for spending your money away in this craze, then you can try non-gambling pachinko too. Now, we come to the end of the post. Hope you enjoyed the ride with me through the most unusual corners of Tokyo. Stay tuned for more. What Is A Individual Tax Return Online? The Importance Of Being Fit- Both Mentally And Physically!